Welcome to 2019 and thank you to all those who have shown your support for our urban bushland and for UBC. Last month we reminded people: Protecting the environment is an ongoing challenge! You can see from our articles and campaigns that many precious sites have a long history of being under threat and that success is often diminished by delay or compromise. Conserving our natural heritage therefore requires perseverance and resilience. It involves increasing community awareness of environmental issues as well as advocacy and activism. It requires people banding together in groups: forming friends’ groups or joining peak bodies such as the Urban Bushland Council. This week we update you on another local campaign to protect a Bush Forever site from development. This is the sand dune ridge and swale at North Scarborough Beach, part of BF 308. 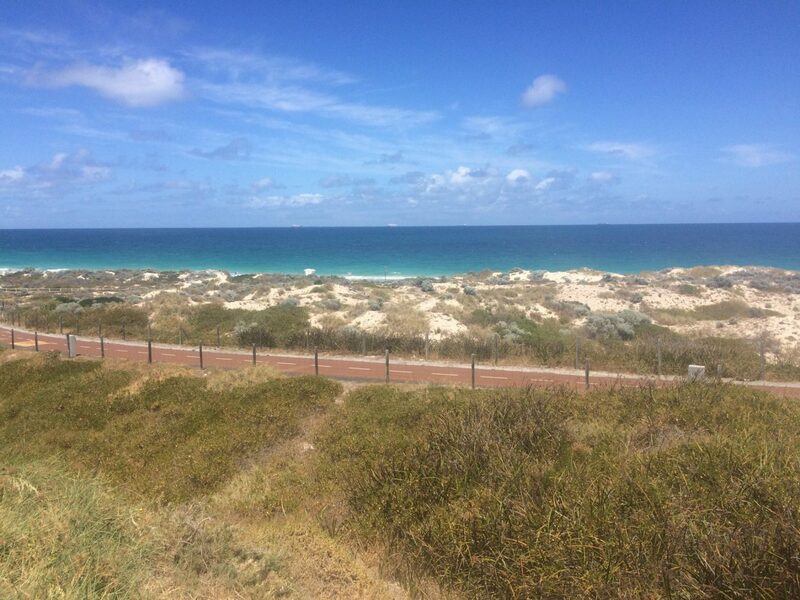 This local campaign is being led by Friends of Trigg Beach, with support from the Friends of Trigg Bushland, Beach Not Bitumen, the Urban Bushland Council, the Wildflower Society of WA, many local residents and beach users. 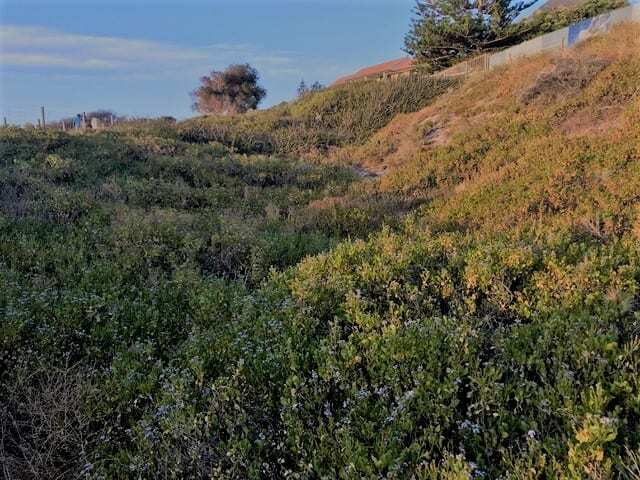 Norup+Wilson have applied to the Department of Water and Environmental Regulation for a clearing permit for 1160 square metres of public land within BF 308 and part of a dune system that is of State wide significance. The land is currently a redundant road reserve. It is being amalgamated into the adjoining South Trigg Beach Class A Reserve. South Trigg Beach also contains a Threatened Ecological Community. The developer Norup+Wilson does not own this land! The people own this public land! This land is to the west of the developer’s 12 storey apartment development at 171 West Coast Highway. It is highly unusual, for a non-owner to apply for a land clearing permit on public land. The clearing application fails to mention that it is part of BF 308. It also fails to mention that the Department of Lands is taking steps to incorporate it into the adjoining Class A Reserve. Furthermore, they fail to address the Environmental Protection Act Clearing Principles or provide an assessment of the environmental impact of any clearing and earthworks on the coastal dune system. There are 14 local native plant species on the subject land. Although the dunes are sparsely vegetated they are held stable by wind packed sand and a biological soil crust. Once damaged, the sand dune will be fully mobile and impossible to stabilise. Have you made an objection to the clearing permit application? Clearing permit applications do get knocked back by DWER. If you need support I may be able to assist. Thanks Emma, I have passed your comment onto Robyn. How do I make an object to this application? Is there a standard form? I’m hoping Emma will be able to assist with these questions. Any dunes along the coast should not be cleared, degradation is occurring over & over again along our coast, eg Port Beach the parking area has been constantly undermined as it has been allowed on a dune area, just further south of this a major Road into the Port is only 23 metres from the high tide water line and reducing after each storm. Please DO NOT allow a clearing permit to proceed in the North Scarborough Dune area. What possible justification have they given for this? Not their land, should be end of the story. So people buying will expect that ! !